Coming down from the mountain to a new life in the city is a thrill to Miri. She and her princess academy friends have been brought to Asland to help the future princess Britta prepare for her wedding.There, Miri also has a chance to attend school-at the Queen's Castle. But as Miri befriends students who seem sophisticated and exciting she also learns that they have some frightening plans. Torn between loyalty to the princess and her new friends' ideas, between an old love and a new crush, and between her small mountain home and the bustling city, Miri looks to find her own way in this new place. Picking up where "Princess Academy" left off, and celebrating the joys of friendship, romance and the fate of fairy tale kingdoms, this new book delivers the completely delightful new story that fans have been waiting for. Note- There will be spoilers in this review if you have not read Princess Academy, the first book in the series. 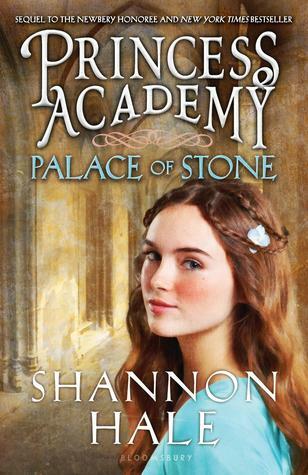 I had such high expectations for Palace of Stone. Sadly, though, it just did not reach the par that I had set for it. Princess Academy was a lovely story that I read when I was a child, probably around 4th or 5th grade. I remember being fascinated with it, completely in love with the characters and the mountain village and, really, just the idea of this story on the whole. When I heard that Shannon Hale was going to write a new book, a sequel, I got pretty excited. It had been years since I'd read the novel, so I took to reading it again earlier this year. I loved it no less the second time around than the first. So, I finally got my hands on Palace of Stone, extremely excited that I was able to read the story that the child inside of me was so ecstatic to continue. It sat on my shelf for quite a few months, however, because of how crazy my school schedule was. But, this Christmas break, I was finally able to dive deep into the world of Miri. This time, though, I was not quite so impressed. I'll go ahead and get through with the worst part of the review: I could not stand the ending (no spoilers). I felt like very little happened the way that I felt it should have, and that major problems were solved much more easily than if they had been in real life. I thought that the ending was very rushed. It seemed almost as if Shannon Hale was running close to the final word count that she needed, so she tried to close everything up much more quickly than she should have. It just seemed very abrupt, unrealistic, and even slightly cliche. Other than the ending, though, I thoroughly enjoyed the book. It was full of excitement, adventure, adjustments, friendships, passion of the unfairly treated citizens, and much, much more. One of the things I loved most about Palace of Stone was that I felt like Miri was growing up with me. Princess Academy was, in my opinion, a novel written for children, and though teenagers and adults can easily love the story or follow along, it was directed more towards young girls, of late elementary school or early middle school age. Palace of Stone, on the other hand, seemed to be written more towards readers who were a bit older, like teenagers. Miri is older in this one, and along with that comes all the "teenager-ish" feelings to which we so easily connect. Also, I felt as if the content of this book was much more rich than the first. Had I not been enrolled in 9th grade history this year, so much of this novel would have gone over my head. The connections that Shannon Hale has made in Palace of Stone most definitely are made for teenagers in my opinion, making it perfect for those who read Princess Academy when it was first published, but have now grown a bit in age. "A king is a servant to his people. He rules by their consent. If the king fails his people, it is their right to rebel." This, I noticed, came almost directly from the ideas of John Locke, who was a major influence on the French and American revolutions. So many things I loved about Palace of Stone, but I think nothing excited me more than the relations to our own history. It gives the reader a chance to think and discover, if he or she only looks. Also, the plot of this book (up until the end, of course) was entirely captivating. I could barely set the book down, it had me so wrapped in the story. 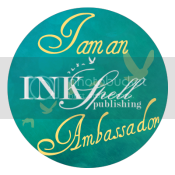 Hale does a lovely job in exciting her readers and enticing them to read more. So, this book was an absolutely lovely read, though it pales in comparison to the first book, in my opinion. I would recommend it, though, as it is a wonderful story that keeps the readers hooked throughout the story. "Words can fall hard like a boulder loosed from a cliff. Words can drift unnoticed like a weed seed on a breeze. Words can sing."